Hey--We Wrote Stuff! Here's How You Can Get It! So you have decided to go to a comic convention! Get ready for a time of fun, fantasy and if you are not prepared... anxiety and anger! Once again, Matt (Matman) Herring, co host of the Secret Identity Podcast, has come to the rescue! 'COMICOPOLYPSE" is the guide to prepare, plan and survive a comic convention. Matt has been to hundreds of comic shows of all types and sizes and has put together an easy plan to not only survive...but thrive! Let his fun and relaxed approach get you ready to enjoy the cons more than you ever have before. After all if you aren't a survivor... you're a victim. Grab your digital copy now for $4 at Drive Thru Comics! If you have questions about anything in the book, or just podcasting in general, you can either reach out to me on Twitter, or email me brian@seebrianwrite.com. SO, WHAT'S IN THE BOOK? 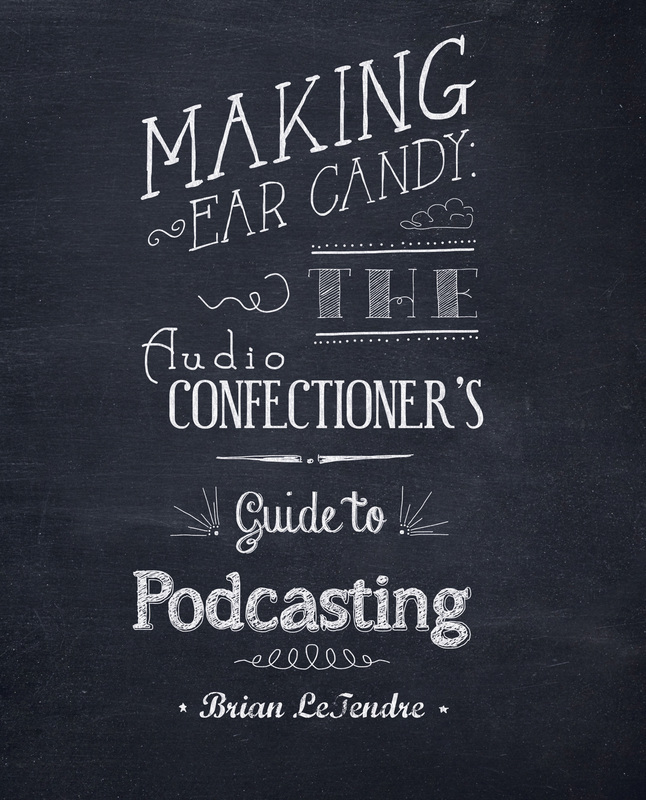 The goal of Making Ear Candy is to provide you with a recipe that covers all aspects of starting your own podcast. The book begins by helping you define your vision for your own show, and then takes you through getting equipped, recording, editing and distributing your show. Conducting interviews, working with sponsors and attending events as a podcaster are also covered, and there's an entire chapter dedicated to hearing from other podcasters and their methods for creating and maintaining their shows. So you just published your first comic book. Now what do you do? This is a problem all comic creators face, not just you. Let Matt (Matman) Herring, co host of the Secret Identity Podcast help you plan your marketing strategy to help you reach a mass audience. From covers and book quality, to setting up for a show, this book is a must read for those looking to make the comic industry their profession. You can get the digital Version of POW-BAM-SELL right now on Drive Thru Comics for $6.00! Click here to go to the product page. Matt also has a Facebook page for the book, which you can check out here. If you're interested in ordering a print copy of POW-BAM-SELL, contact Matt directly at matmancomics@yahoo.com. He'll even sign it for you! If you are a fan of 80's horror movies, H.P. Lovecraft and apocalyptic conspiracies, then this book is right up your alley. You can get the print and digital (PDF, ePub and Mobi) versions of Courting the King in Yellow right now at Drive Thru Fiction for a total of $10.99! If you want print only, its' $9.99, and the digital versions are $2.99 (for all three together). Click here to go to the Drive Thru page. You can also get the Kindle version of CtKiY on the Amazon Kindle Store, and the ePub version on the Kobo eBook Store. To find out more about the book (and the process behind it), check out Brian's blog at www.seebrianwrite.com. Brian also put together a trailer for Courting the King in Yellow, which you can view below.